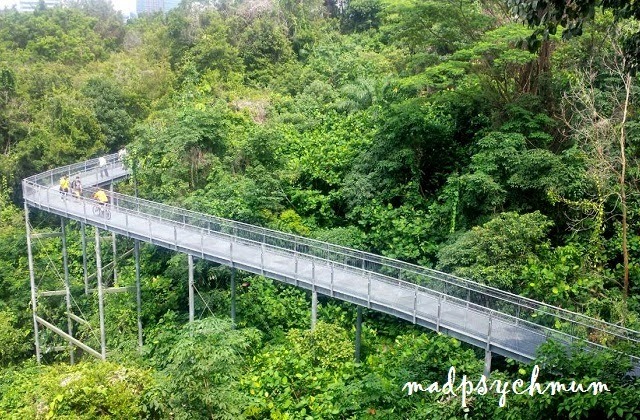 I live only 15 minutes away from the Southern Ridges, which nicely connects Mount Faber Park, Telok Blangah Hill Park, HortPark, Kent Ridge Park and Labrador Nature Reserve (DIY guide provided by the National Parks here), and can't believe that I have not had the chance to visit until now! After a nice breakfast at McDonald's in the morning, we started our walk at HortPark (where we also parked our car). 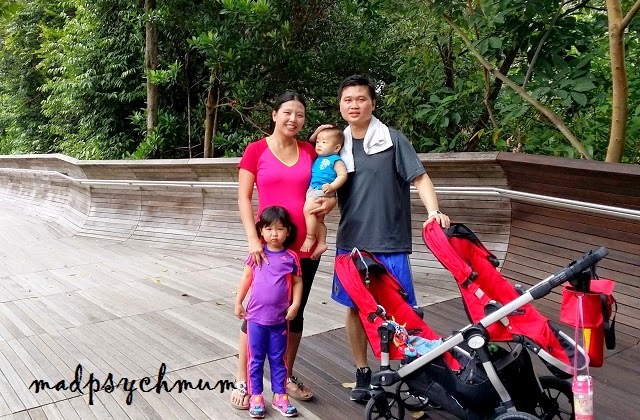 The route was wheelchair/stroller friendly so we decided to bring along our double stroller (full review of our Baby Jogger City Select here) so that I didn't have to carry my baby. Unfortunately, that also meant that my girl would clamour to sit rather than walk as she felt that it was not fair that her brother got to ride the stroller and she didn't (-_-"). And since I didn't want to walk at a speed of 1cm per minute, I relented. 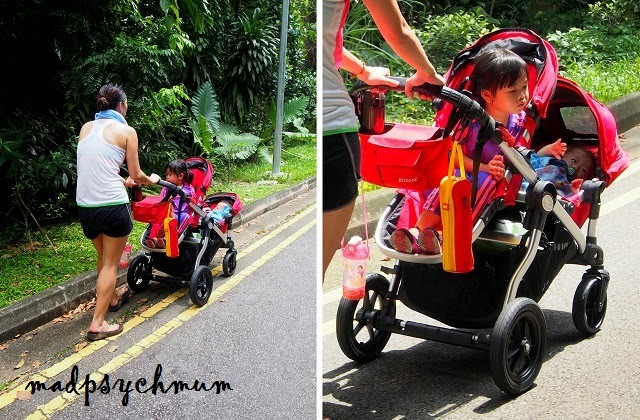 The sister offered to push as she wanted to train for a marathon that she would be running. 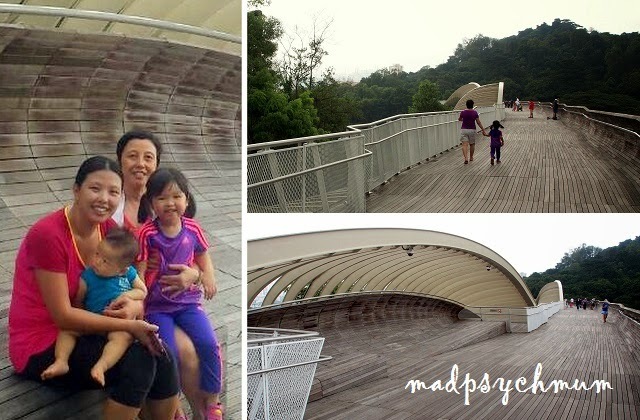 From HortPark we followed the signboards to Alexandra Arch, a beautiful pedestrian overhead bridge at Alexandra Road. 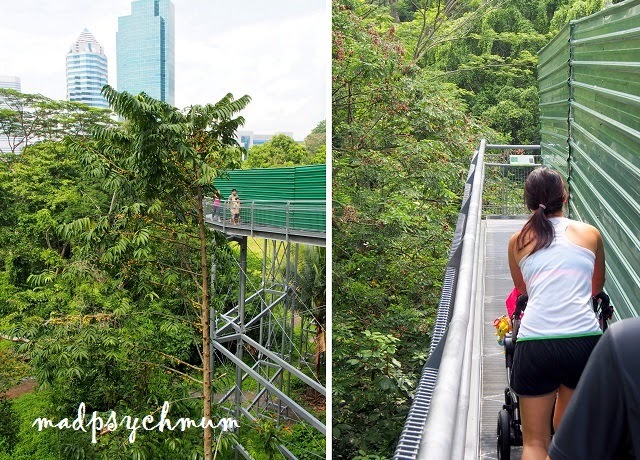 Alexandra Arch links us directly to the Forest Walk, which consisted of elevated walkways that allowed you to see the natural greenery from a higher viewing point. See the painting in progress? 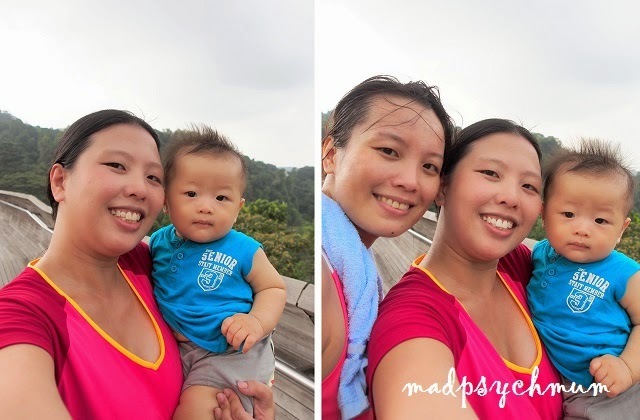 We reached the top and took a short breather to rest before continuing onto the Hilltop Walk that runs through Telok Blangah Hill Park. 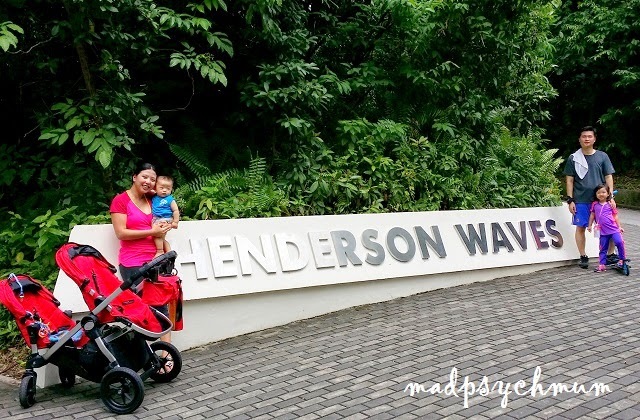 At the end of the trail, we arrived at one end of the Henderson Waves. 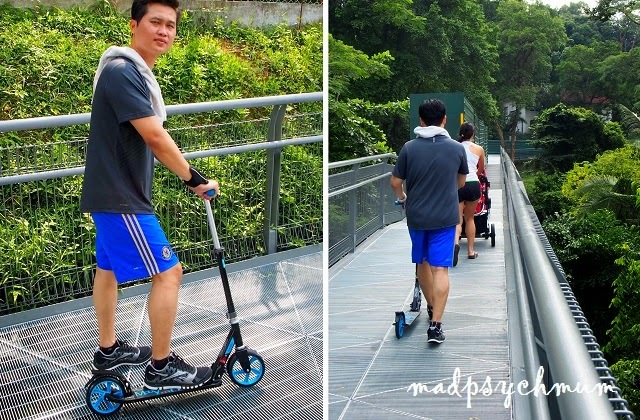 Standing at 36m above Henderson Road, it is the highest pedestrian bridge in Singapore. Baby Boy is getting real good at taking selfies! 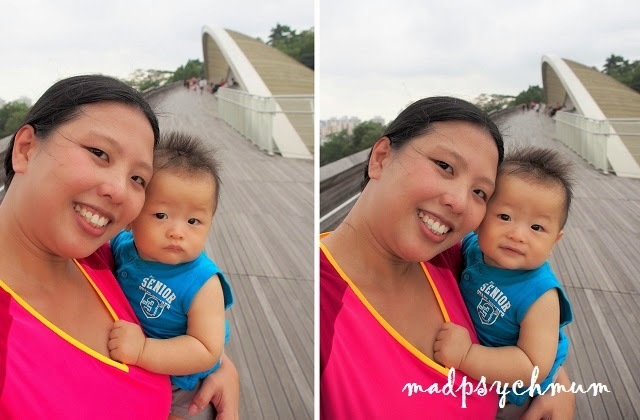 From Henderson Waves, we continued on to Faber Walk, which leads us to the top of Mt Faber. 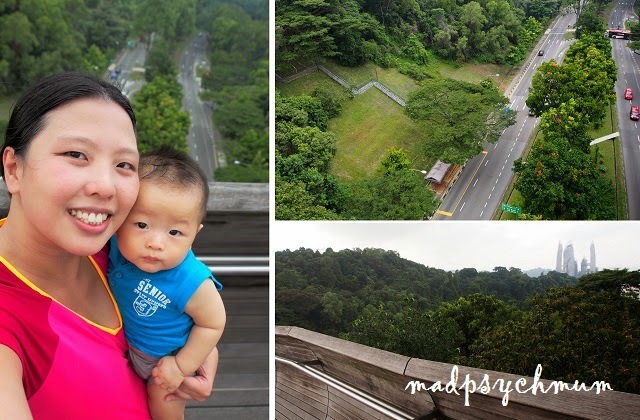 Along the way, we were greeted by beautiful views of the sea and cable cars. Tired but happy that we finally completed the walk! 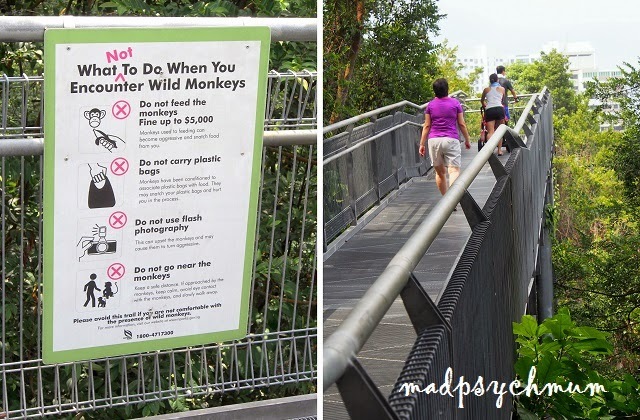 We were going to continue down the Marang Trail to Harbourfront but we realised that the trail was not stroller-friendly. So instead of continuing to Harbourfront, we headed back to Jewel Box instead to board a cab back to HortPark to collect our car. Disclosure: A complimentary Baby Jogger City Select and additional seat were received from Baby Jogger and The Amazing Baby Company for the purposes of blog post feature. No monetary compensation was received; all opinions are my own.